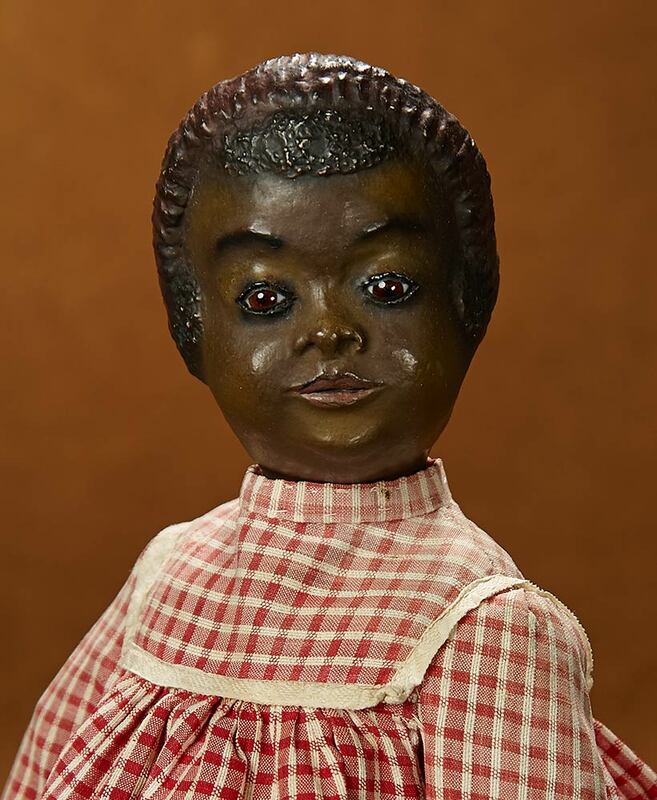 You might have heard of Beatrice Wright Brewington, the black entrepreneur who in the 1950s decided to set up a doll-making company to produce black dolls in huge quantity for young girls. This company was called B Wright’s Toy Company and from production, it managed to enter the global market filling a gap in the doll industry for the black community. 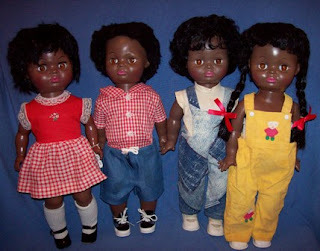 In 1980, Mattel, producers of the most popular dolls in the world launched Christie, the first black doll under Barbie which also took the world by storm. 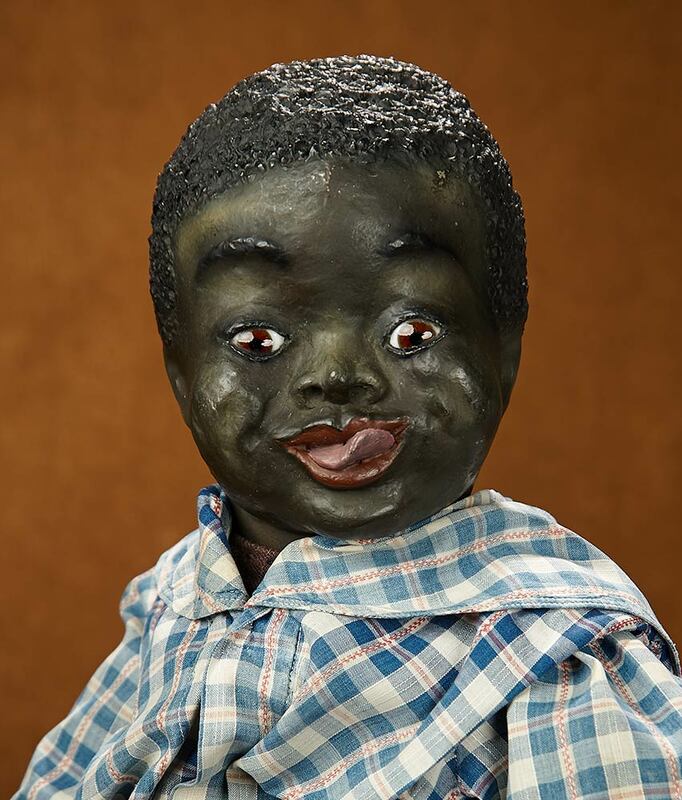 But before all these, there was a black doll maker who lived in the 1800s and designed black dolls for young girls to feel accepted. His name is Leo Moss, a carpenter and handyman as he was popularly known until he became a dollmaker in the late 1800s and early 1900s. After years of seeing several dolls for white girls, Leo Moss decided to use his imagination to create black dolls for black girls. Leo lived in Macon, Georgia with his wife Lee Ann Moss who was a popular dressmaker. The couple lived a relatively decent life and after Leo conceived the idea, he made dolls for young girls per request. The uniqueness of Leo’s story is that he was a untrained doll maker who made dolls for black girls through his imagination. Leo Moss doll that sold for $17000 in 2015. At first, Leo decided to paint white made dolls black but seeing as the features were a bit of a problem, he decided to start from scratch. According to the Guardian, the looks of the first set of dolls were inspired by family and close friends of Leo before he started to make dolls for specific people. Leo’s dolls were made of different material he pieced together. 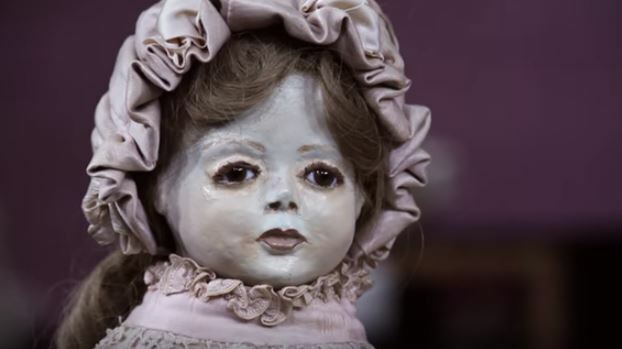 While some material was from his carpentry shop, others came from a toy supplier in New York who sent him broken pieces of other dolls and toys to use. The doll heads were papier-mache made out of scrap pieces of wallpaper he collected on odd jobs he took from white families. 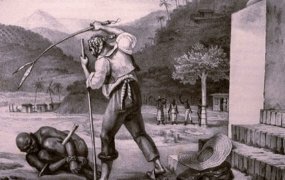 The eyes were made of smooth glass that he painted black or brown to depict the eyes of a black person. His wife Lee Ann Moss stayed busy making clothes for the dolls as well. 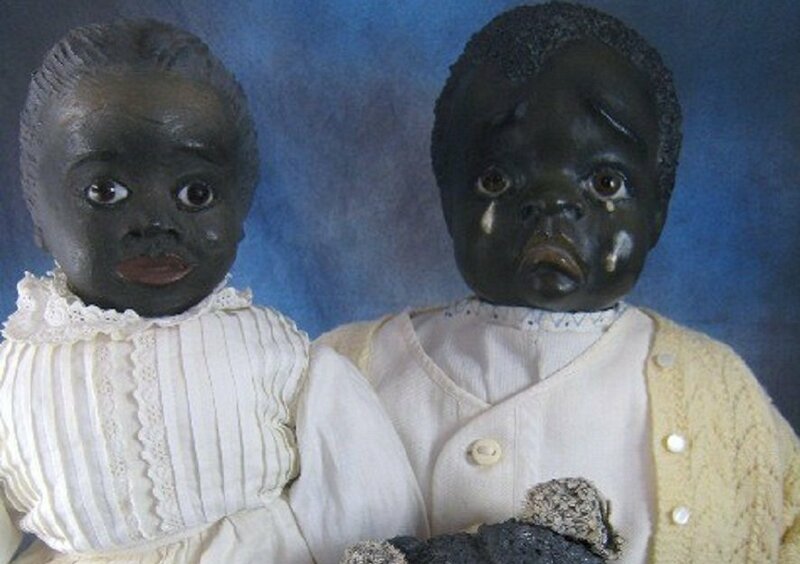 To achieve the black skin for his dolls, Leo used soot from chimneys and stoves and real hair that were glazed to keep them in good shape. 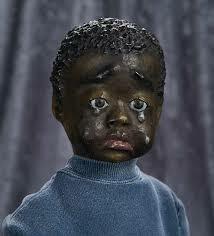 The Leo Moss dolls, although very rare, are known for their very expressive faces and look. After a while, Leo began to make white dolls for white families as presents for their daughters. Leo Moss also made boy dolls. 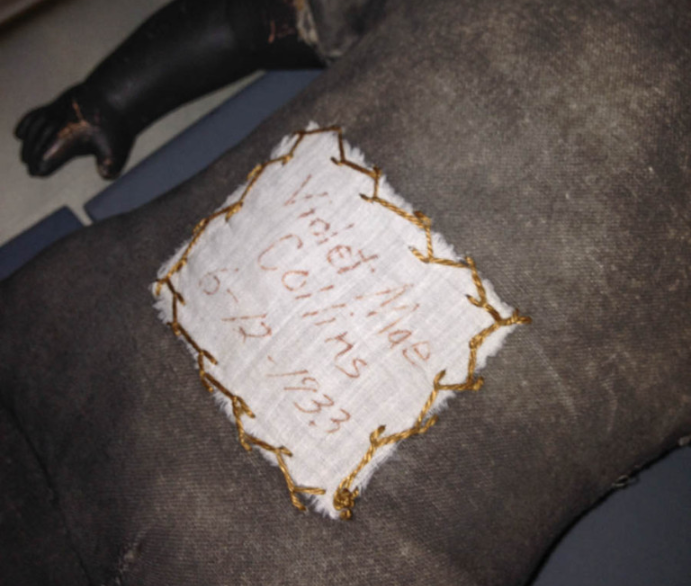 Each of his dolls bore the name of the owner which was usually written somewhere at the back of the cloth or on the neck with his initials. At a point in time, Leo’s dolls began to have very sad expressions. There are different reasons that have been stated to cause this change in his dolls. According to one account, at a point in time, his wife run off with the white toy supplier from New York. This made Leo very sad hence the sadness and lasting tears in the eyes of his dolls. 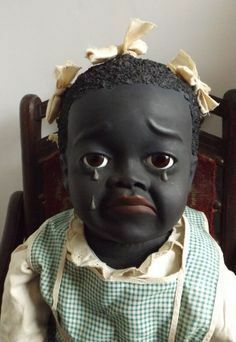 Another account explains that Leo expressed the feelings of the black community through his dolls and often made the crying dolls represent a baby whose tears could not be stopped. Although several claims have come to conclude that Leo Moss is not a real person, there has been proof of his existence through the purchase of some of his dolls from his daughter and records that show his date of death in Macon, Georgia in 1936. 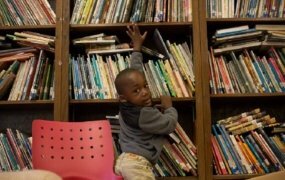 Although no other details of his life is found, the legacy of Leo Moss has been preserved by museums and the auctioning of his very rare black dolls collection. It is believed that Leo did not make as many dolls as they were handmade and took a while to make. Several of his dolls have been auctioned and purchased for a price ranging between $5000 to $17000. Others are often loaned out to be displayed at shows. The story of the Leo Moss dolls definitely deserves more recognition than it gets seeing as dolls are one of the most important toys in a child’s life and they go a long way to instil pride and acceptance of one’s skin color.